French President Emmanuel Macron gives a thumbs-up after he delivered an address to a joint meeting of Congress Wednesday at the U.S. Capitol. French President Macron told members of Congress "we are living in a time of fear" in the U.S. and Europe. "It can remind you of something," Macron quipped. Still Macron painted a portrait of some stark differences between himself and Trump during Wednesday's speech in the packed House chamber. The two countries share a determination that Iran, as Macron put it "shall never possess any nuclear weapons...not in five years, not in ten years, never." But the French leader pointedly noted "there is an existing framework" to control Iran's nuclear ambitions. "We signed it," Macron said, "at the initiative of the United States." 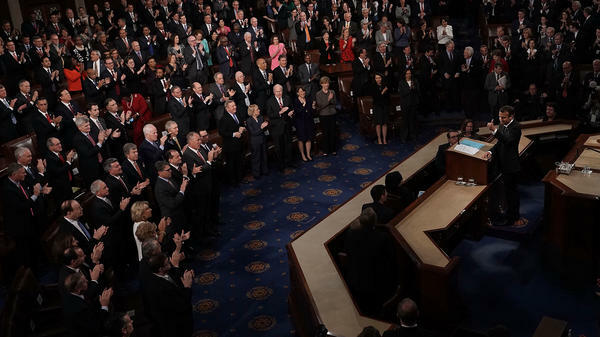 Macron said it is his position that "we should not abandon it without having something ....more substantial instead," drawing applause from those in the chamber who oppose President Trump's threats to abandon the accord. 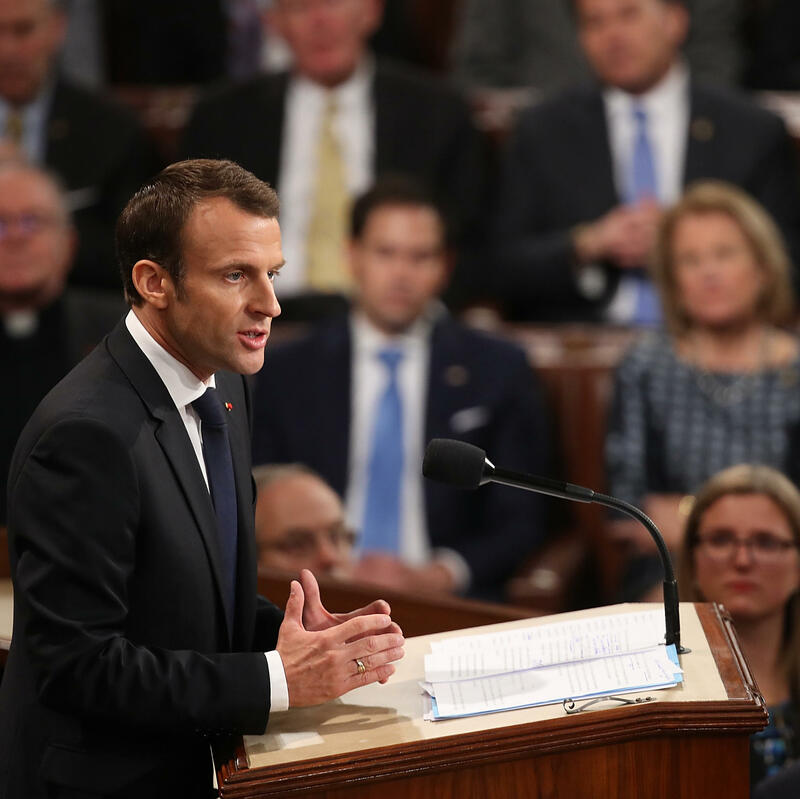 Macron did hold out hope that a new comprehensive deal that would address the "legitimate fears" of the U.S. and allies in the region, who say the agreement does not keep Iran from developing ballistic missiles or from destabilizing the Middle East. Macron also highlighted differences between the U.S. and France on the environment. "By polluting the oceans, not mitigating CO2 emissions and destroying our biodiversity we are killing our planet," he said. "Let us face it," Maron said, "there is no planet B." Macron urged business leaders and local communities to work together to "make our planet great again," drawing applause and shouts from Democrats in Congress. Macron said he was sure one day the U.S. "will come back and join the Paris agreement," which limits carbon emissions and which President Trump exited. Macron also warned of the dangers of the "ever-growing virus of fake news," cautioned against "isolationism and nationalism," and said he favored "free trade and fair trade," showing that despite his coziness with President Trump during his Washington, D.C., visit, there are still significant differences between the two men.